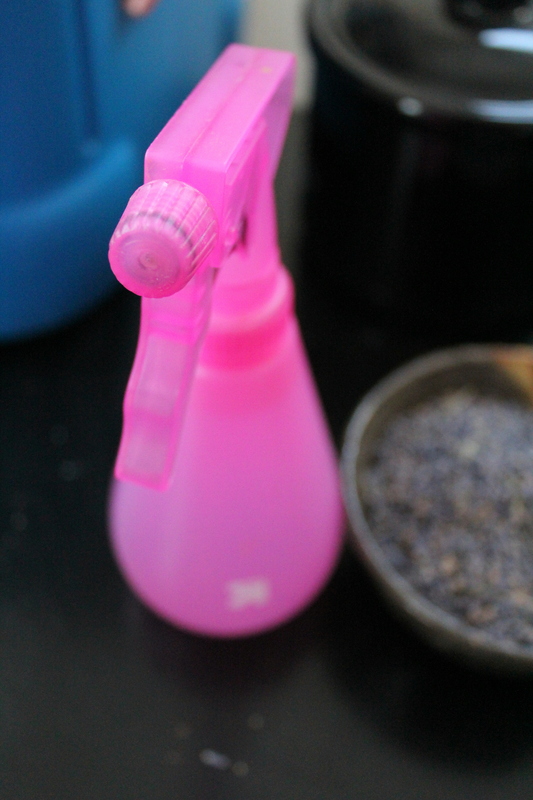 But first, I thought I could at least incorporate the smell into my daily life by using some of my recently purchased lavender essential oil to whip up this easy and refreshing lavender spray. I spritz this in my hair when it needs a bit of refreshing – generally when I’m working with day 2 hair and my curls are a little flat or kinda frizzy. Lavender is great for use in a refreshing hair spray because it has natural cleansing properties, it can help heal dry skin and dandruff, and can stimulate blood circulation on your scalp (and I know I need that, because I want my hair to freakin’ grow!). 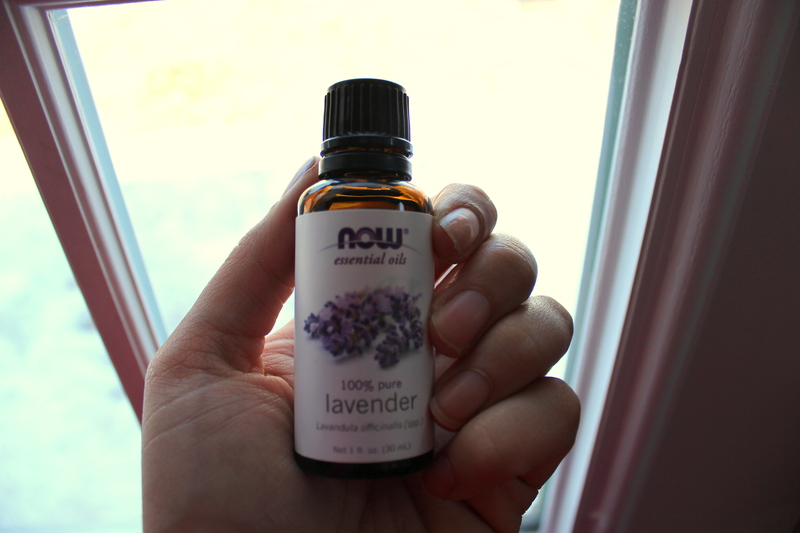 Add to that the nice scent (with its natural calming effects), all of the other benefits of lavender, and the fact that the spray it’s super easy to make, and we’ve got a winner. Fill a pot with the water, cover and bring to a boil on high heat. Once it’s boiling, turn the heat to low and simmer for 1 hour to purify. Be sure to check occasionally – you don’t want your water to just boil away! After one hour, remove the water from the heat, and stir in the essential oil. Replace lid and let steep until cool. Pour the mixture into spray bottles and you’re done. Be sure to store your spray in a cool, dry place. 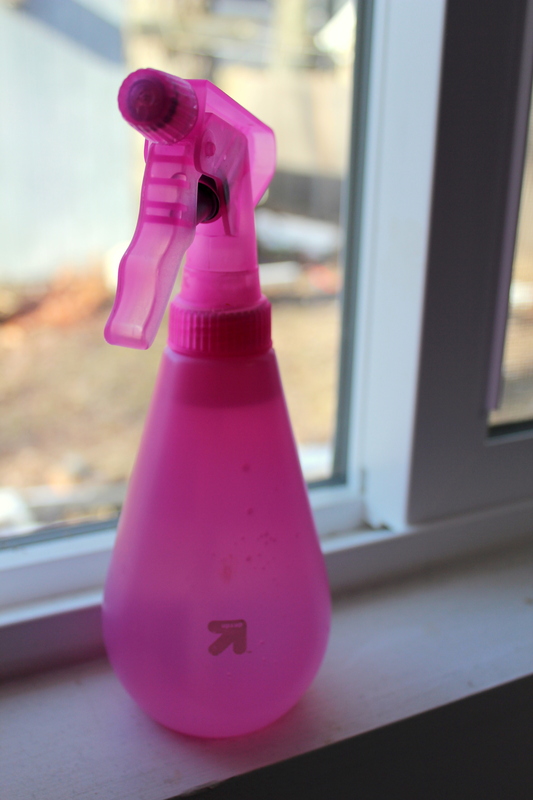 You can use this spray on your hair, like I do, but you can also spray it on linens or clothes to give them that refreshing and soothing lavender scent, you can spritz it on your face, or you can use it as a room deodorizer. I might spray some on my dog, too. ha! 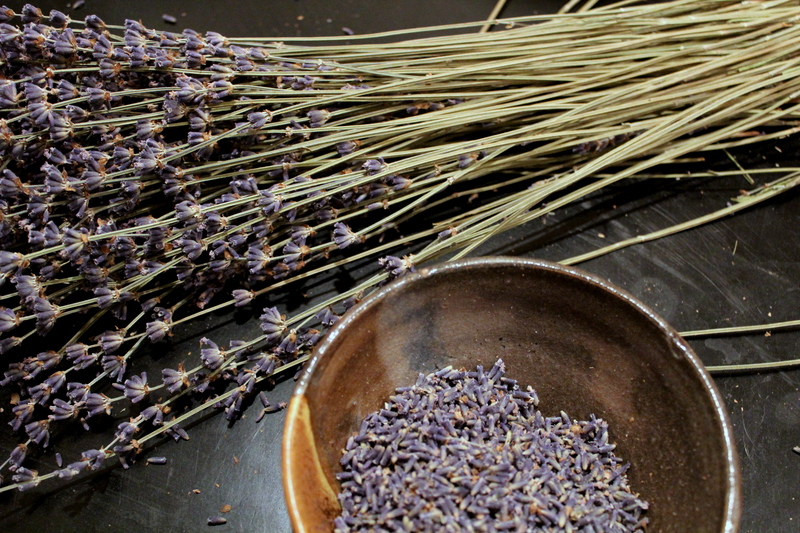 What would you do with your lavender spray? Recipe adapted from Curly Girl: The Handbook. Is it regular tap water or distilled water you use? Hi Robin! Since the recipe calls for you to boil the water first to purify it you don’t need to use distilled water – tap will do. However, if you’d prefer to use distilled water I think that would be just fine.